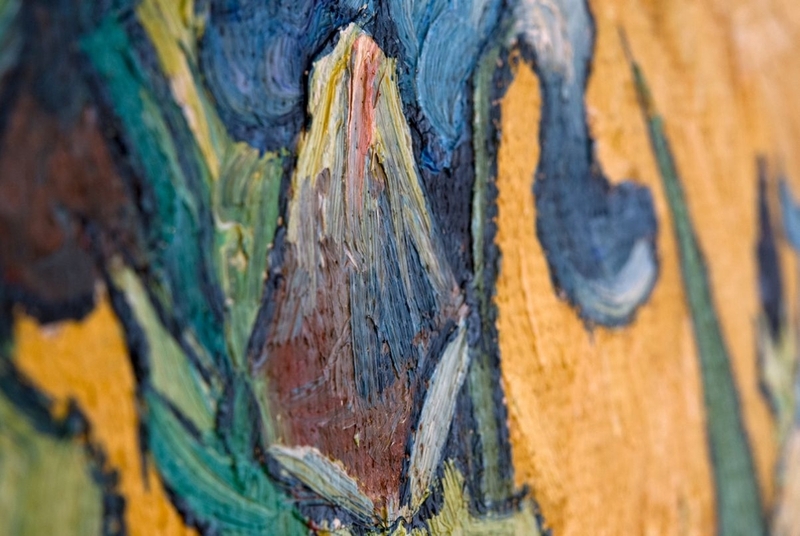 Vase with Irises Against a Yellow Background, painted in 1890, was one of the last paintings that Van Gogh created at Saint-Rémy-de-Provence, the asylum, after which he shifted to Auvers. Vase with Irises Against a Yellow Background was one of the few still-life paintings that Van Gogh created during his stay at Provence. He had not painted any still-life works during his stay at Saint Rémy, until the last month where he produced four bouquets of roses and irises. At the asylum, he generally painted outdoors, in the countryside or gardens. Vase with Irises Against a Yellow Background is striking in its contrast, something which Van Gogh didn’t try to hide or blend, but made to stand out even more. Our talented artists are followers of Van Gogh’s work and have studied his work, technique, style and coloring in great detail before embarking on their own replica. 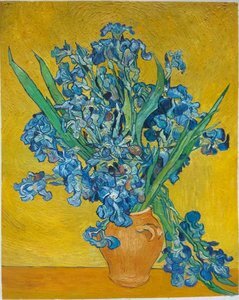 It is believed that Van Gogh had made up his mind to leave Saint Rémy and Provence by the time he started painting Vase with Irises Against a Yellow Background. His last month at the place involved him painting very hard, almost in frenzy. 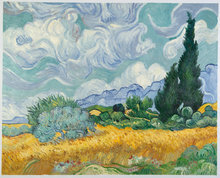 A year before this painting, Van Gogh, at Saint Rémy itself had already painted two beautiful paintings; much loved and admired by Theo, his brother. 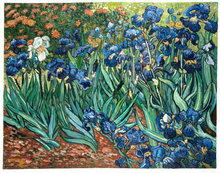 The theme of those two paintings were also Irises, but in their natural surroundings, not in a vase. 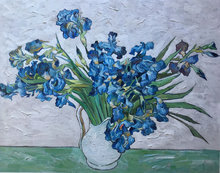 Keen on furthering his studies of Irises, Van Gogh started this still-life painting and wrote to his brother describing the contrast and striking effect he had achieved in his painting, especially about the violet-blue bouquet standing out against a lemon yellow background. The Vase that held the flowers also had a different yellow tone which added to the look. With gorgeous renewed liveliness and use of color, Vase with Irises Against a Yellow Background stands for the contrast. It clearly indicated Van Gogh’s efforts to heighten and sharpen contrast, as opposed to blending them into each other and toning down the colors. 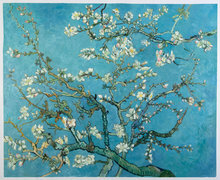 While at Saint Rémy, Van Gogh painted flowers with vigor. This clearly conveyed his enthusiasm, positivity and optimism. He wrote to his mother saying that for one’s health, it was necessary to work outdoors, in a garden and see the flowers growing. His mother owned the painting until her death in 1907.